Ann Marie juggles her education with the responsibilities of taking care of her three kids and working at the Peirce Library as part of our work-study program. On June 13 she graduated with an associate degree in Paralegal Studies and plans to put her scholarship towards a bachelor’s degree. Greg has been an employee of the city for 16 years, and began his pursuit of a bachelor’s degree in Business Administration when he started classes in September. He wants to earn his degree to set a positive example for his family. Both merit-based and need-based scholarships are available to help students fund their education, earn their degree, and improve their future. If you’re looking for financial support, talk to your school’s Financial Aid office and any professional associations or community organizations where you’re a member. Many groups, businesses, and organizations offer a wide variety of scholarships. Also be sure to check out resources like Fastweb.com for more scholarship listings. 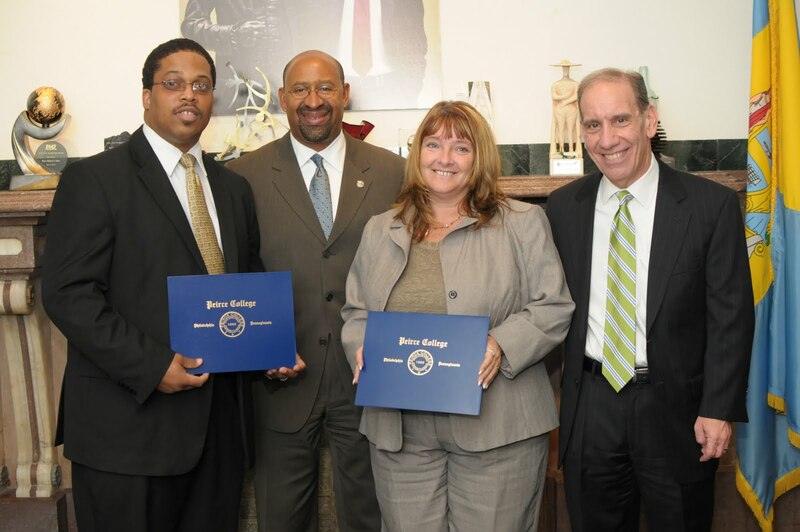 Congratulations to Ann Marie and Greg for all of their hard work and their commitment to earning a degree! We wish them the best of luck in their future endeavors.